You Too Can Make your Bedroom Feel Super Cosy. Here’s How! 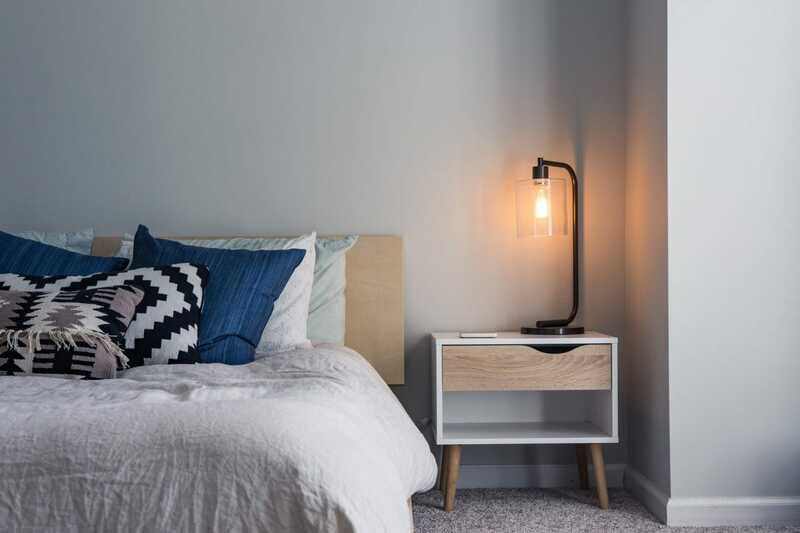 If you want to make your bedroom feel super cosy but you don’t quite know how or if you know that you need to sleep better at night then the best way for you to do this would be for you to look at your immediate needs. After all, what you may find comfortable may be completely different to what someone else finds comfortable and this is the main thing that you have to remember. When you decorate your room you have to put comfort first. You have to think about what you find comfortable, whether it is a knitted blanket or plenty of cushions. Of course, so many people think about having throws and additional layers but if you find this to be too heavy or if you feel as though it is just too much for the room then there is no harm in you avoiding this. After all, there are other ways for you to bring out the true comfort of the room, such as having brightly coloured cushions or even by opting for different fabrics and textures. If you are not sure what textures to go with then consider having fur, knit or anything else similar. Lighting can add a lot of personality to the room. You may find that the more light you have, the cosier your room feels and this is especially the case if you are able to add some kind of dimmer. When you have a dimmer installed, you can turn the lighting down at night without having to sit in pitch black darkness and this can work wonders for your comfort level. Of course, if you are finding it hard to know which type of lighting to go for then consider adding some lamps to the room and even add some soft lighting accents such as small wall lights to illuminate any artwork you have. When you are decorating your bedroom you will soon find what works for you and what doesn’t. Pictures are great here because they can remind you of the family that you have all around you and they can also help you to feel much more comforted when you can’t sleep at night. When you are choosing your cheap picture frames, try and opt for warmer colours. This can include gold, bronze or colours of a similar tone. Sure, silver or chrome can look great but they can also make a bedroom look cold so you are much better off trying to have bolder, warmer tones if possible. So there are many ways that you can try and bring out the true colours of your bedroom and when you are able to concentrate on this you will soon see that the whole room is much more comfortable. You may even find that you are able to make the most out of a smaller space as well and this is great if you want to try and put your home on the market.